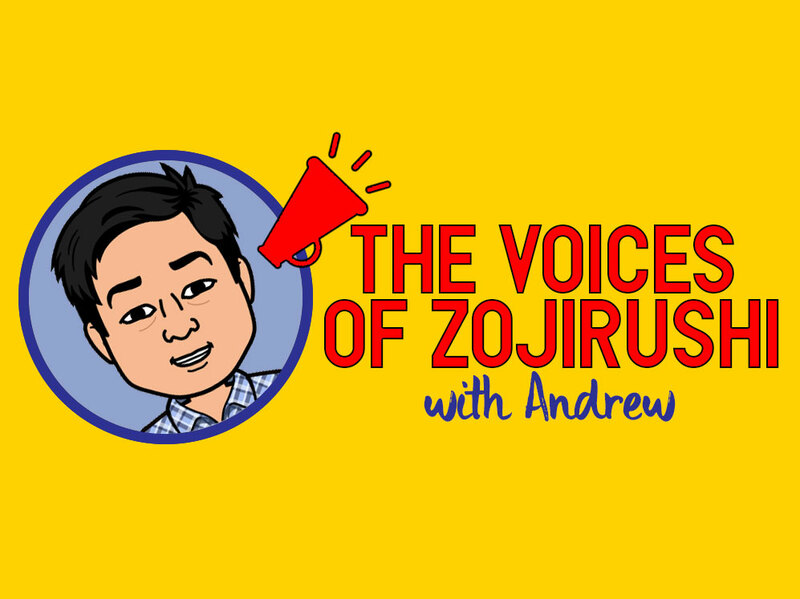 The Voices of Zojirushi – Andrew! It’s December and our final Voices of Zojirushi post. We hope you’ve enjoyed getting to know our employees this year and sharing in our centennial anniversary! Andrew, one of our Sales Executives, shares his inspirations and hopes for Zojirushi as we go into the new year. Andrew was born in Japan and raised in the United States, enjoying both Japanese and American cultures, food and lifestyles. He began his career working in a Japanese restaurant, and through his exposure to Asian foods vendors, began to work in sales. Andrew, you have such an interesting background. Tell us a bit about your career at Zojirushi. I had always had an interest in sales. 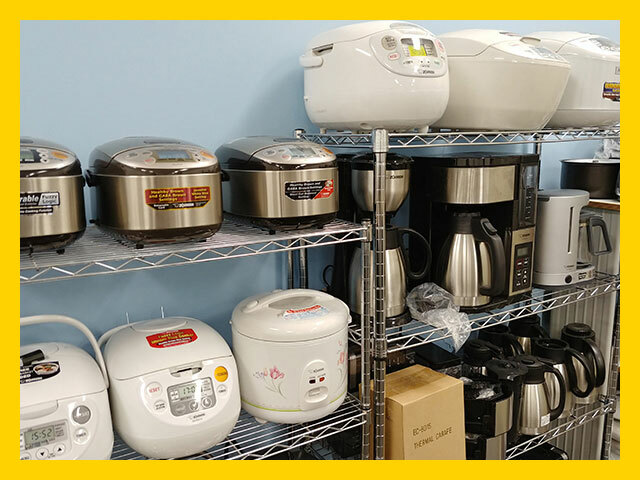 I wanted to sell products I had confidence in—and, now I do, because I work for Zojirushi, selling the finest quality small appliances in the industry. Zojirushi prides itself on bringing only the highest quality products to market. 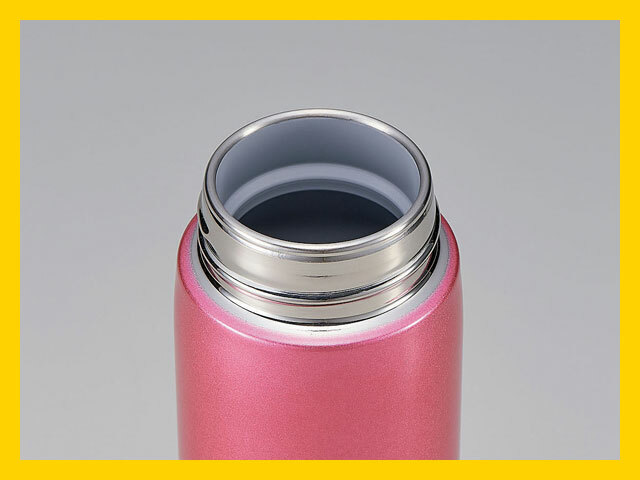 They also keep keen focus on what the consumer is looking for—for example, the new Stainless Mug (SM-TA36/48/60) has a smooth, rounded finish on the opening of the bottle so that it is more comfortable to drink out of and clean. It may be a small thing, but that’s the type of small detail that consumers really appreciate. I like being a part of that. Zojirushi has always cared about their customers, and our corporate slogan “Inspirations from Everyday Life”, reflects that. How do you see everyday inspirations in Zojirushi products? Every new product we develop is inspired for everyday use. When a new rice cooker comes out there is always something new that was not on the previous model. For example, when the NS-LAC05 (3 cup capacity) was discontinued it was replaced by two models, the NS-LHC05 and the NS-LGC05. Although nearly identical in appearance and function, the NS-LHC05 and the NS-LGC05 have different settings, adapted to the different preferences of consumers. The NS-LHC05 has special porridge setting for making rice porridge and a jasmine rice setting geared towards some Asian consumers, while the NS-LGC05 has a steel cut oatmeal and long grain white rice setting created to capture the general market consumer. Paying attention to the needs of different types of customers is what keeps Zojirushi on top. Our corporate philosophy is “Creating a Quality of Life” for our customers. How do you believe your job at Zojirushi supports our customers? We recently started a new project as a company, with a focus on incentive and corporate gifts, since a lot of companies like to give their employees or customers a gift with their company logo on it. Putting company logos on mugs and bottles is nothing new to the industry, but usually the bottles are cheap. Our product, on the other hand, is double or sometimes triple that dollar amount; but, with more customer awareness of the high quality of our brand, more inquiries are coming in—from small establishments like coffee shops, to big corporations like Google and Facebook. I am happy to see that more customers prefer quality over price. Since you sell so many products for Zojirushi, you must have your own favorite! What do you like cooking? I have fond memories of visiting Japan every summer as a kid. I think that it was there I first tried monjayaki, a traditional Japanese meal or snack that is cooked on a hot plate. 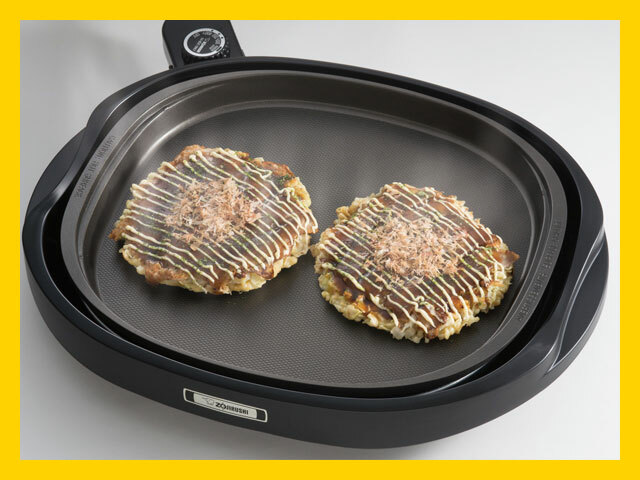 Since then I have missed eating monjayaki but I’ve been able to enjoy it again thanks to the use of our Gourmet Sizzler® Electric Griddle (EA-BDC10). And my wife made Paella using our griddle. She used fresh clams, shrimp and mussels, as well as chicken and sausage—it turned our great, and was very easy to make! We’re grateful to Andrew for sharing his thoughts with us and wish you all a very happy holiday season! 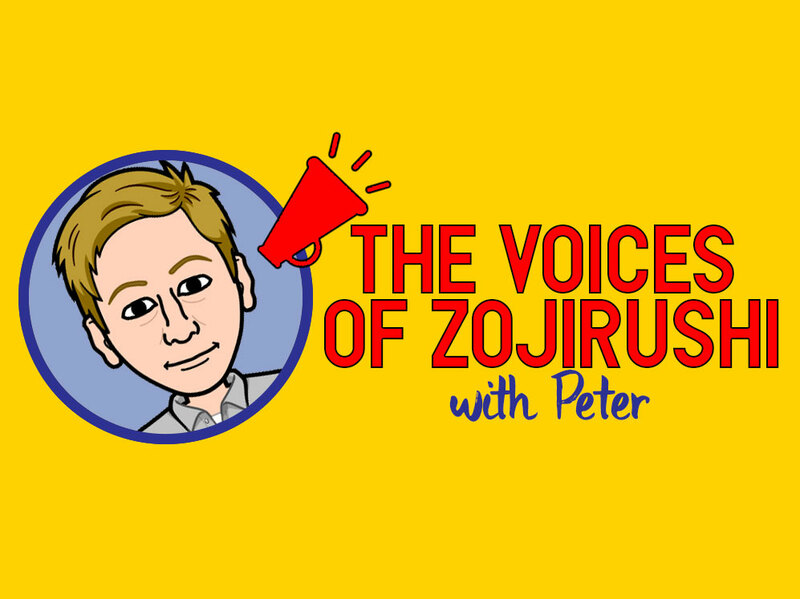 The Voices of Zojirushi – Peter! We enjoyed speaking with our Administration Manager, Peter, this month and want to share the thoughtful, exuberant and diverse perspective he brings to our team. Peter, tell us about yourself and your background. Before working for Zojirushi, I was in fast-paced, commission-based sales. It was go, go, go! I took a break and went to Japan, where I taught high school English. I began working for Zojirushi in 2003 after returning from Japan. My plan was to continue teaching high school English, and while I applied for teaching positions, I decided to look for temporary work as a sales associate. Serendipitously, I was offered a position in Zojirushi’s Retail Sales Division, and have been with the company ever since! I’m now the Administration Manager, and although my position does not involve sales or marketing activities where I interact directly with customers, I support those efforts by ensuring that our office operates smoothly and efficiently, by helping to recruit and retain quality employees, and by doing all I can to support our corporate philosophy of Creating a Quality of Life right here among my Zojirushi colleagues. When you mention Creating a Quality of Life, what do you see as our company’s values and how do you believe we embody them in our products and services? You can tell a lot about a company’s values by the way they treat their employees. 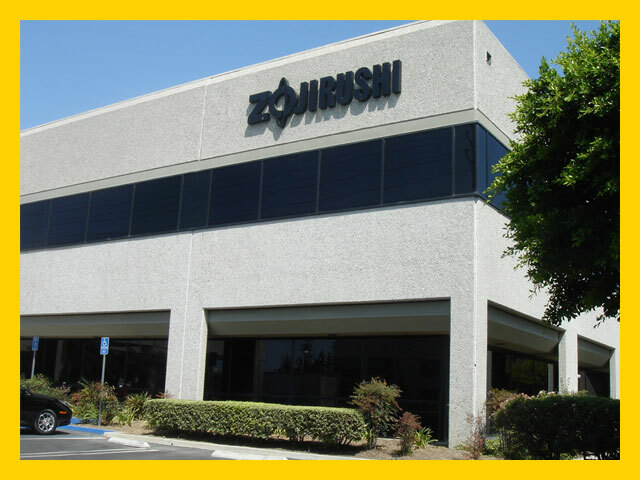 When you look around our office, you see people who have been here for decades, some from when Zojirushi America opened its doors in 1987. It’s extremely rare these days to see that kind of loyalty and longevity. The company realizes that it’s strength and success is dependent upon the people who represent it. When I look at the values of this company and how it operates, I see people who have devoted a significant part of their lives to building it up to where it is today, and I see how loyal Zojirushi has been to them. That same level of commitment and loyalty the company has to its employees is the same kind it shows to its customers. It puts them first, above profit and everything else, because the company knows that without satisfied customers, there is no company, there is no future. And it realizes that you can only earn the trust of those customers—and keep them satisfied for the long-term—by producing quality products and supporting them with the highest level of customer service. Much of our product design focuses on practicality, quality, craftsmanship, sustainability and stylishness. Do you have a favorite Zojirushi product that you believe embodies these qualities? My family owns a simple-to-use, single switch rice cooker and we use it several times a week. 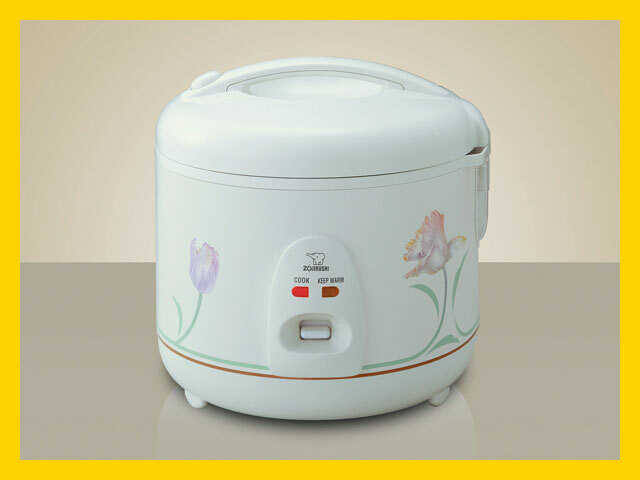 We have had that rice cooker for several years now and it has worked dependably without any problems at all. That one single rice cooker, which by the way looks great sitting on our kitchen counter, embodies all of those qualities: practicality, quality, craftsmanship, sustainability and stylishness. When you say it that way, we can see how our tagline—Inspirations from Everyday Life–imbues our product design. Do you believe Zojirushi products inspire customers? When you produce a product that brings simple joy to a customer, you are selling much more than just convenience and utility. You’re contributing to that customer’s overall enjoyment of their normal day and enriching their life. All of our products inspire our customers by providing those simple joys throughout the day. For example, we have technologically-advanced and aesthetically-pleasing coffee makers and hot water boilers to make coffee or tea in the morning or throughout the day. We have rice cookers for lunch and dinner. We have bread makers that bake delicious (and wonderful smelling!) breads. If you surround yourself with these types of life-enhancing products, you are, quite simply, adding more joy to your life. And that is what makes them Inspirations from Everyday Life. So true! Any final thoughts you’d like to share with us? When I look back at my career path with Zojirushi, I feel like I have been given the opportunity to use my strengths in really great ways, whether through my love of learning, or helping customers or educating our employees… I get to do it all here. We hope you’ve enjoyed meeting Peter as much as we have sharing his story with you. Stay tuned for our final Voices of Zojirushi blog for 2018! The Voices of Zojirushi – Koji! We begin the last quarter of this year with a conversation with Koji, the Senior Sales Manager who has been with Zojirushi America Corporation for 13 years! Koji works with Zojirushi’s network of distributors and retailers to get the products customers love into both brick-and-mortar and online stores. Originally from Japan, Koji moved to the United States, after which he joined Zojirushi. Koji, tell us what inspired you to work at Zojirushi. Zojirushi is a well-established and respected brand in Japan and around the Asia. I wanted to challenge myself to see if I could be part of its history, to establish the same reputation in the North America. I also like the company’s stability. Zojirushi had been in business for 87 years at the time that I started. 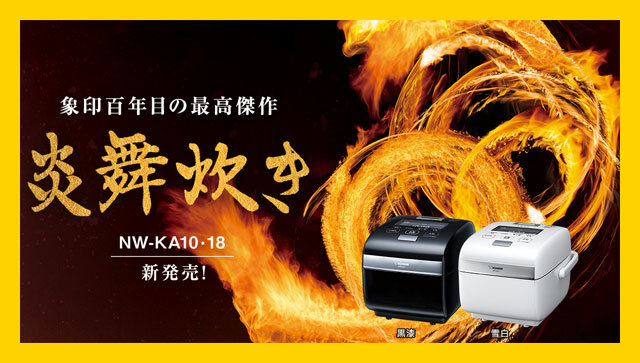 13 years later, Zojirushi Corporation is celebrating its 100th anniversary. I believe that a company surviving for 100 years makes a strong statement, and when you add in brand value to the stability of the company, it really was the right place for me. It’s wonderful how passionate you are about Zojirushi! Our corporate tagline is “Inspirations from Everyday Life” and your feelings fit right in. So true! The attention to detail that goes into each product for everyday use reflects our tagline of Inspirations From Everyday Life. For example, the lid of our travel mug disassembles in parts for easy cleaning. This design may not seem much, but if you clean it every single day it makes a huge difference in the usability of the product. You really get this sense the more you use each of our products. Your job is to be a sort of ambassador for the company, and with your interest in all of the products, are you able to pick one as a favorite? As Senior Sales Manager for Zojirushi America Corporation, it is my duty to spread the “love” of Zojirushi products to as many people as I can! When I saw someone at the airport enjoying a beverage out of our travel mug it made me so happy. Especially since my favorite product is our Stainless Steel Travel Mug (SM-YAE48). I use it every single day. I also love the entire SM-KHE series, because the quality of the heat retention is by far the best in the industry. I have been using my black, 12 oz. SM-KHE every day for the last 6 years in my office for my morning coffee. It keeps the coffee hot to my liking for the entire day. That’s such a great story! Since you like our mugs so much, what other product would you like to see as the next great thing from Zojirushi? I would love to expand our product assortments so that they’re more geared toward Western consumers. We have been selling breadmakers and coffee makers for a number of years and that’s working out great. In the upcoming months, we will come out with a multicooker, which is an impressive unit. I’m very excited to put this product into the marketplace and get it into the hands of the customers. Your perspective is such a wonderful blend of Japanese and American thinking. Our readers would love to hear your thoughts about Japan and the things you love about it. I often go back to Japan for business and personal reasons. Every time I go, I’m always amazed by the selection and quality of the food at convenience stores in Japan. 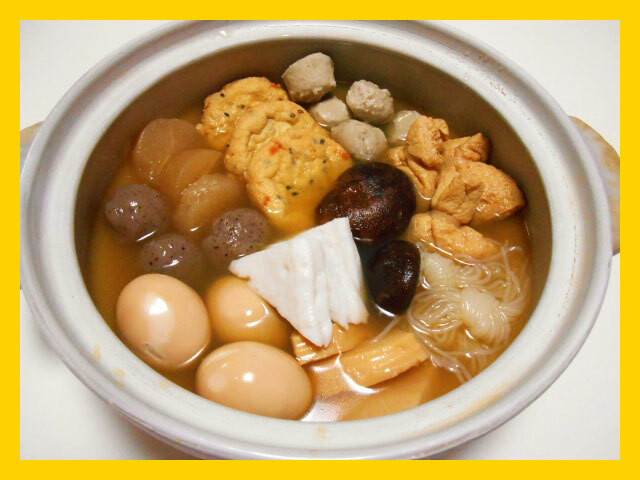 When I go back to Japan in the winter, oden is my favorite food at the convenience store and you can’t forget about all the sweets they have as well—especially the seasonal sweets that are different every year. And when I’m here, I feel like cooking keeps me connected to my roots. I cook GABA brown rice in my IH rice cooker every week and it comes out perfect every time, as expected. It makes the texture of the brown rice softer to eat due to the cooking cycle of 3-1/2 hours. But most importantly, the health benefits are the BEST—GABA is said to be helpful in lowering blood pressure, improving kidney function and in relieving stress. Thank you so much for sharing your perspective with us, Koji! And stay tuned for next month’s visit! 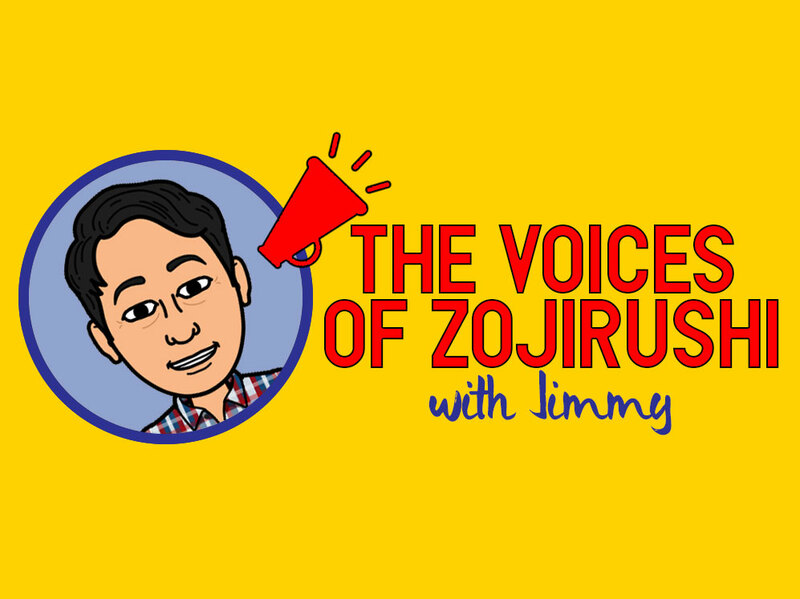 The Voices of Zojirushi – Jimmy! This month, we’re happy to share insights from one of our newer employees, Jimmy, who’s role as an Accounting Manager helps the company stay on track! Jimmy joined Zojirushi America six months ago, where he manages daily operations in the accounting department, produces and maintains financial statements and reports, and keeps the organization on track by establishing proper accounting policies and procedures. While Jimmy is a numbers-oriented person, you’ll see how his unique perspective brings forth his love of Japanese food and culture. Jimmy, tell us a little bit about yourself. I was born and raised in Japan and moved to the United States when I was 18 years old. 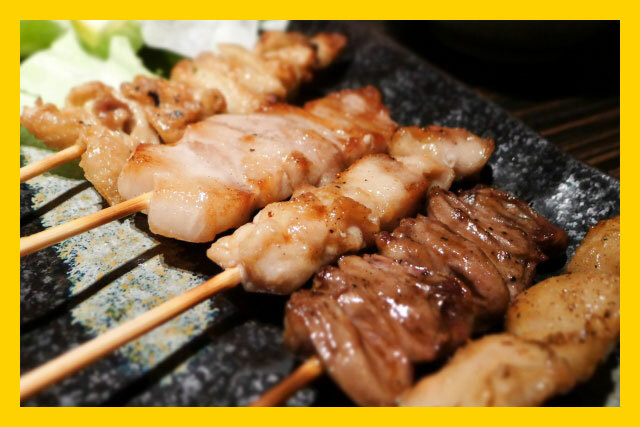 I love both countries but have to say that I miss my favorite yakitori restaurants from Japan! Yum! We always love hearing about our employees’ and fans’ favorite foods and get inspired by their ideas. Our tagline is “Inspirations from everyday life” and we love it when people are truly inspired by our products. 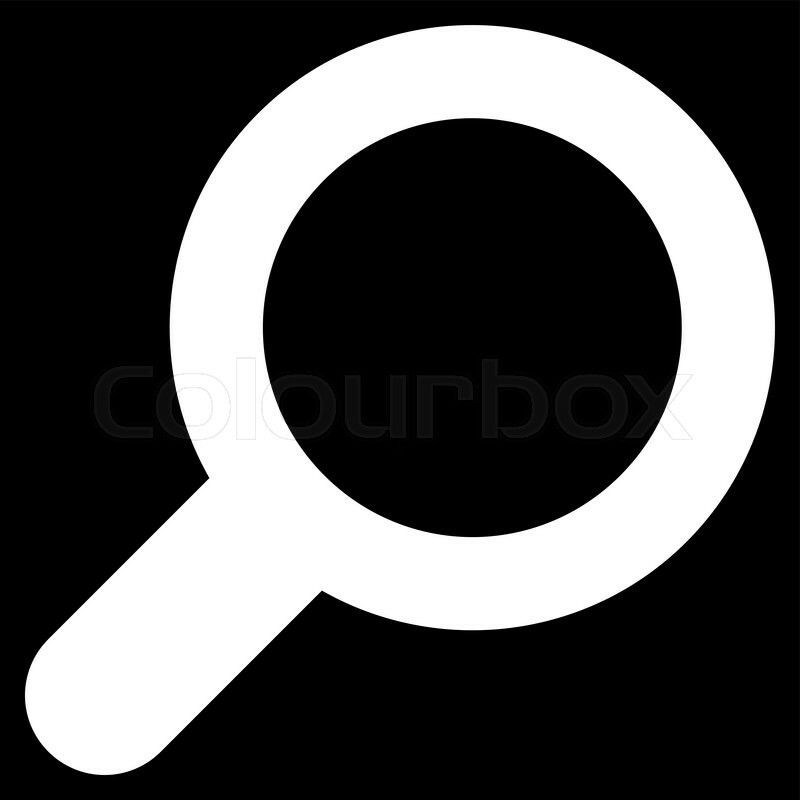 What else do you find exciting about Zojirushi products? Having grown up in Japan, I always knew about how premium Zojirushi products were. But it wasn’t until I started working here that I learned about how much work goes into developing the technologies that make Zojirushi products so great. 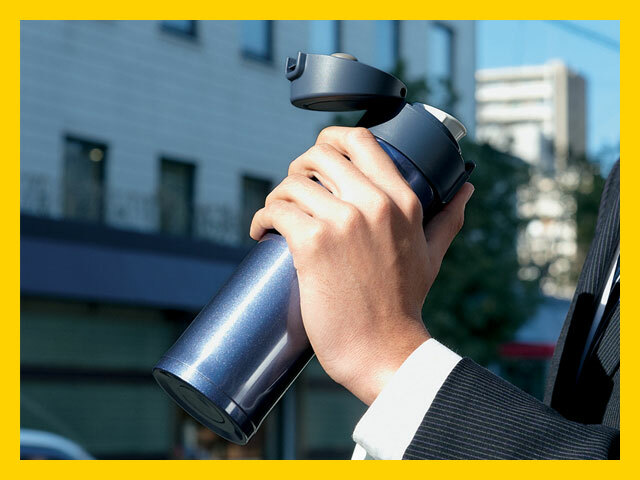 For example, the vacuum insulated stainless steel mugs and bottles are fantastic—they maintain the temperature of drinks so effectively that it actually astonishes people! We get so much positive feedback from our customers reporting that these products exceed their expectations, and that they find our products to be sophisticated and user-friendly. If you could tell people one great thing about Zojirushi, what would it be? It’s definitely the family environment and friendly employees that makes coming to work every day a pleasure, as well as the small size of our company here in California. We all work together and each member is valued, whether they’re in our accounting department or in other areas like customer service or technical support. That’s the best thing about working here! Finally, what would you like to see as the next great Zojirushi product? Or, what new innovation would you like to see added to our current products? Zojirushi Japan has many great products that I wish we could have here in America. For example, I recently purchased a brand-new high-end pressure induction rice cooker for my parents, the Enbudaki (NW-KA10), which is available only in Japan. 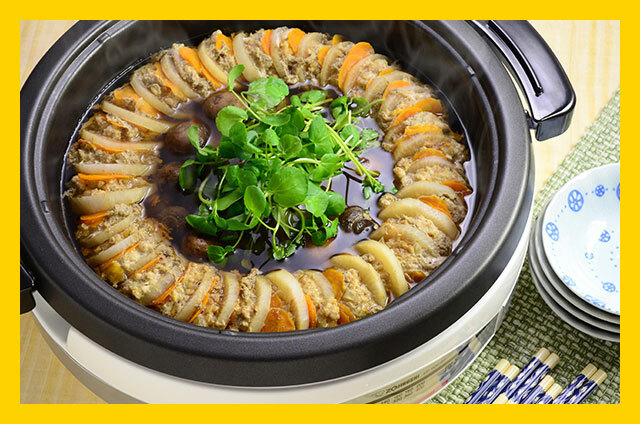 That rice cooker has so many innovative features including the new heating technology where it utilizes three induction heating coils, instead of one, to create a convection effect within the inner pan while cooking. My parents love the rice cooked in this rice cooker! I’d love to have that one here. We hope that you enjoyed virtually meeting Jimmy! And stay tuned for our next Voices of Zojirushi! 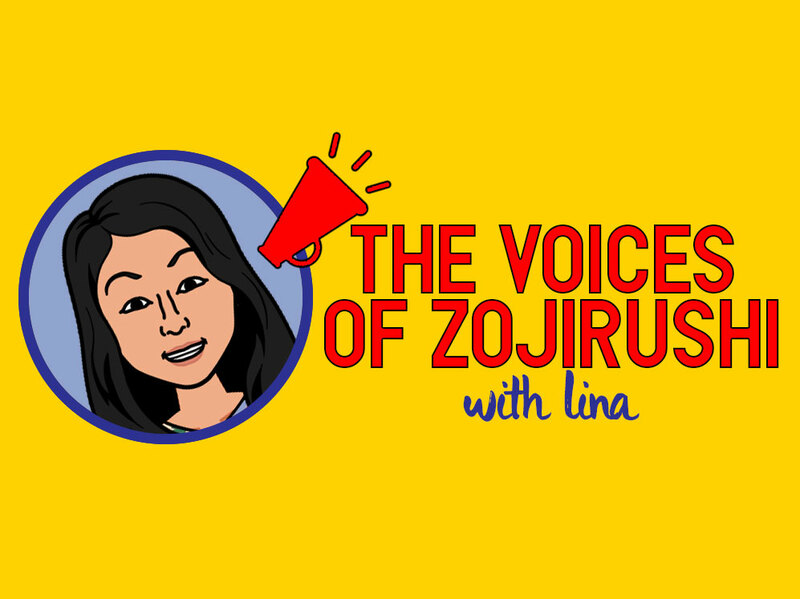 The Voices of Zojirushi – Lina! Customer service is one of our key values, and we’re excited to spend some time getting to know Lina this month! Lina has been a Customer Service Manager with Zojirushi for almost two years and she brings freshness and passion to her role. Lina, can you tell us a little bit about your role as a Customer Service Manager? My primary job is to make sure that I help customers with their Zojirushi product, whether they need support finding the right product to fit their needs or whether they have questions after they’ve bought their product, like how to use certain features or what recipes would be great, or even finding replacement parts. I have to be a product expert to do my job well, so I also learn about each product, give input to R&D and help with warranty and repair requests. Sounds like you have a lot going on! How did you get into this role? I grew up with Zojirushi products. Since before I even knew the name, I can remember seeing the elephant on all our household products. I’m proud to work for a company I believe in and can recommend to everyone. We’ve heard that from everyone we’ve interviewed this year… that Zojirushi is a great company to work for and that our corporate values are embodied throughout the organization. How do you see our values and our corporate philosophy of Creating a Quality of Life translate into your role? I believe our values of quality and attention to detail make this company. We get customers calling in about rice cookers and bread machines they have had for 20 years which are still working in great condition! I have seen all the thought and effort that goes in to the design of new products to allow for the best aesthetics and functionality. We try our best to assist customers to ensure they are satisfied with their products whether it be by troubleshooting any issues they may have or providing them with step by step instructions on how to operate their products. We have actual units we use that allow us to ‘walk through’ with the customers so we see the exact same thing they see and can better assist them. We really pay attention and I think that makes all the difference. Along with our values, our corporate tagline is Inspirations from Everyday Life. How do you see everyday inspirations reflected in Zojirushi products? There is an increasing awareness and interest in gluten free breads and various grains for cooking in the rice cooker. Our newest bread machines reflect this and are designed to bake gluten free breads. Our newest rice cooker has a quinoa setting. We also just released a water boiler with an all-stainless steel interior. We are always developing our products to suit the needs and requests of our customers. You’re so passionate about our products! Do you have a favorite product or favorite recipe you’d like to share with us? Vacuum mugs!!! I cannot live without mine. I fill it with coffee, tea or water and it helps keep me hydrated and caffeinated in the most stylish way. The mugs are so minimalistic, light, and durable. I never realized how much I would love and need it until I actually used it. Best gift to get for anyone. And I love the Daikon Pork Layered Hot Pot. It is a beautiful dish to look at and tastes even better!! Give it a try! The Japanese have a saying that ‘you eat with your eyes first’ and this is definitely a sight to behold! That does sound delicious! We love hearing about everyone’s recommendations. Since Zojirushi is a Japanese company, do you have any insight into the culture you’d like to share? I recently had the opportunity to visit the Zojirushi Headquarters and Factory in Japan. It was truly a wonderful learning experience. What always impresses me about the Japanese is their dedication to their craft. They focus on one thing and really perfect it. And trust me when I tell you EVERYTHING tastes better in Japan! It’s always a fun and delicious experience when I visit there. We can’t wait to visit Japan, either, and hope that you enjoyed learning about Lina and her perspective. Stay tuned for our next Voices of Zojirushi!